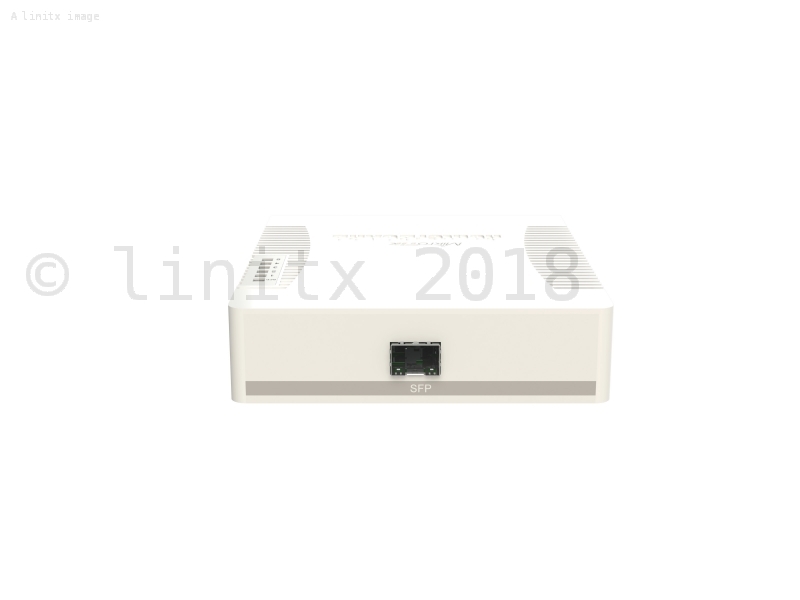 Introducing the MikroTik RouterBoard 260GSP (CCS2016-1G-4P-1S) - this is a direct replacement for the previous model MikroTik RouterBoard 260GSP. 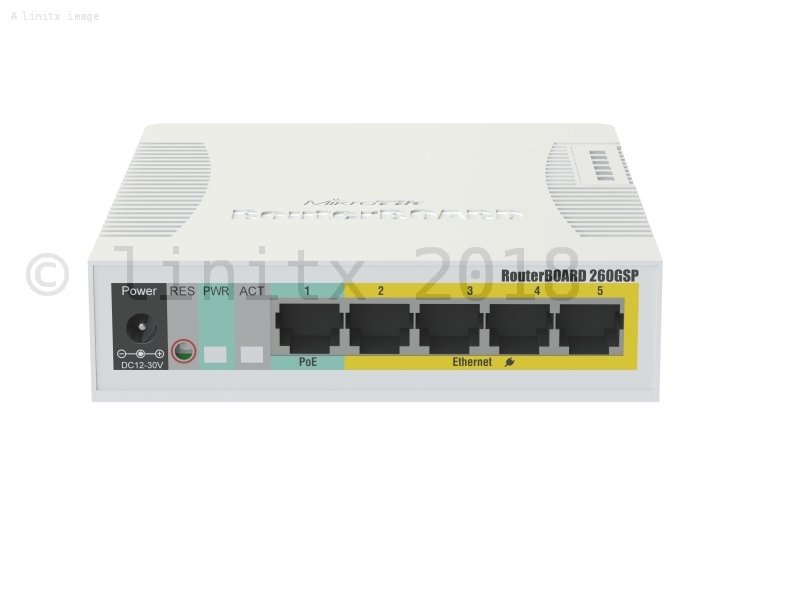 This new model features an updated CPU, slightly re-designed case, support for RSTP (Rapid Spanning Tree Protocol), and SwOS 2.0 pre-installed. The RB260GSP is a small SOHO switch, which features power output on 4 ethernet ports. Ports 2-5 can power other PoE capable devices with the same voltage as applied to the unit. 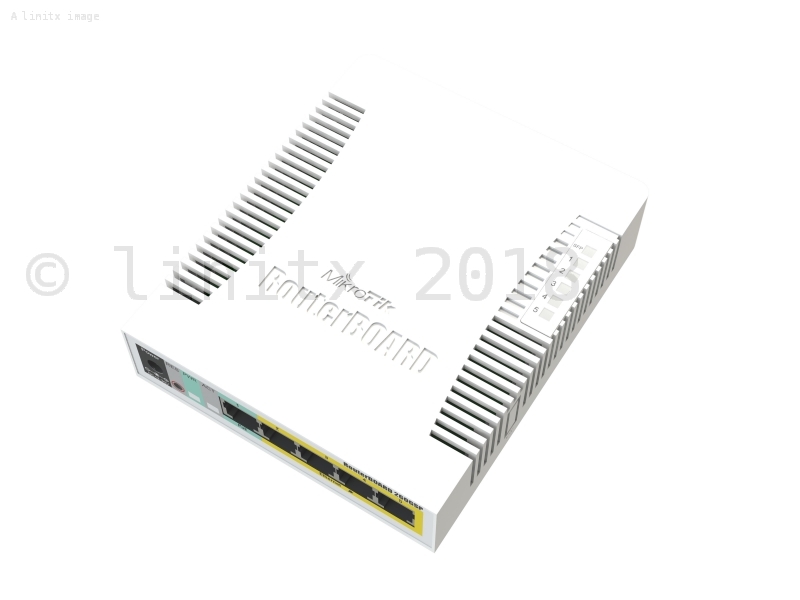 The RouterBoard 260GSP is running an operating system designed specifically for MikroTik Switch products - SwOS. Very good no frills product. Not the most feature rich switch (no match for my SG350-10P) but serves my needs perfectly (port mirroring) and it's a different class of device. Contains nice stats about each port (including if any devices are sending any ethernet PAUSE frames). Case is a bit plasticy and would have preferred metal but for the price you can't really go wrong. 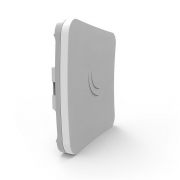 Not tried any of the PoE functionality and would have liked it to support 802.3at rather than 802.3af.